A small shuttle to move up to 5 crew around. 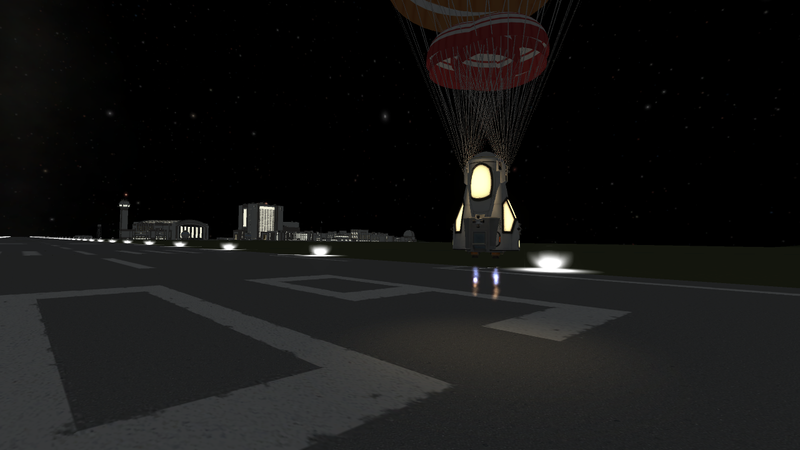 Needs to use a little bit of the main engines when landing, even with the chutes. Comes with a Launcher to put it in LKO.